SOUTHINGTON - A Southington man accused of threatening police may not be eligible for a first-time offender program he had hoped to use. 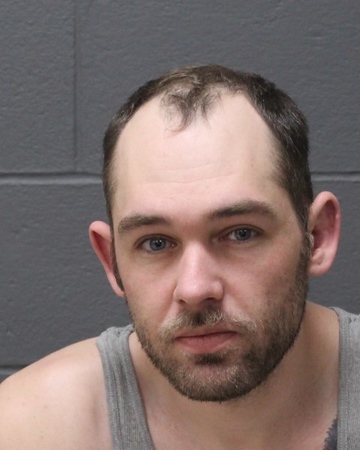 Russell Yorski, 30, was pulled over on April 26 after police saw him driving “at a high rate of speed,” according to police. During the traffic stop, Yorski was uncooperative with police and verbally threatened multiple officers. He also allegedly resisted police when they took him into custody. Additionally, police said, the vehicle Yorski was driving was not registered and did not have insurance. He faces charges of second-degree threatening, interfering with police, traveling too fast for conditions, operating an unregistered motor vehicle and failure to carry insurance card. Yorski has applied for accelerated rehabilitation. Should it be granted, he could be placed on a form of probation for up to two years. During that time, he would need to avoid any further arrests and comply with any conditions set forth by a judge. Successful completion would mean the charges against Yorski would be dismissed. However, Yorski was told during a hearing on Tuesday, in Bristol Superior Court, that it does not appear he is eligible for the program because of a reckless driving conviction in California. Peter Matthews, Yorski’s attorney, said his client believes that conviction is no longer supposed to be on his record. Matthews was granted a continuance until Feb. 20 to do some research and determine whether his client is eligible for accelerated rehabilitation. Posted in New Britain Herald, Southington Herald on Tuesday, 15 January 2019 21:18. Updated: Tuesday, 15 January 2019 21:21.